This section is dedicated to all teams that performed well at tournaments, both state and local. The Empire U13G AfterShocks took second place in the Dublin Shamrock tournament. The Empire U13G AfterShocks took second place in the Wesco Apple Classic Tournament. Empire SC U11 Blue Thunder took 1st place this weekend at the SRU Academy Cup (Silver division). Empire 2001 Blue Bombers brought home the Championship trophy from the Puma Seawolf 6-a-side tournament on Sunday July 24th. The girls went undefeated with a 4-0 record. Due to injuries, they played the campionship game with no subs in 100 degree heat. Way to gut out the win!! Empire 2003 White Storm Win their first tournament as a new team. The White Storm battled all weekend long only allowing 1 goal in 4 games. They won the Napa Wine Classic tournament by beating Benicia in PK’s in the championship game. The Blue Storm played great defense all weekend long and only allowed 1 goal all weekend long. They beat Sonoma Revolution in the championship game 4-1.” Congrats Blue Storm. The Empire U11G AfterSchocks took First Place. The Empire U11B Real took 2nd Place. The U19 Empire Blaze took First Place at this past years Ft. Bragg Halloween tournament! As a result of injury and other soccer commitments, the Blaze won the final game with only 10 total players. Nice job girls! If you are interested, the Blaze tryouts will be Jan 20 and 27 from 6:45-8:45pm at Santa Rosa HS. 33-4-9, Coming in 1st in State Cup, Fall League Gold division and four tournaments. Great job Blue Storm!!!" The U11 girls Blue Lightning capped off a great season, getting to the State Cup finals of the Platinum 2 Division. Congrats to the girls, who finished with 3 tournament wins and a 2nd place at State Cup! 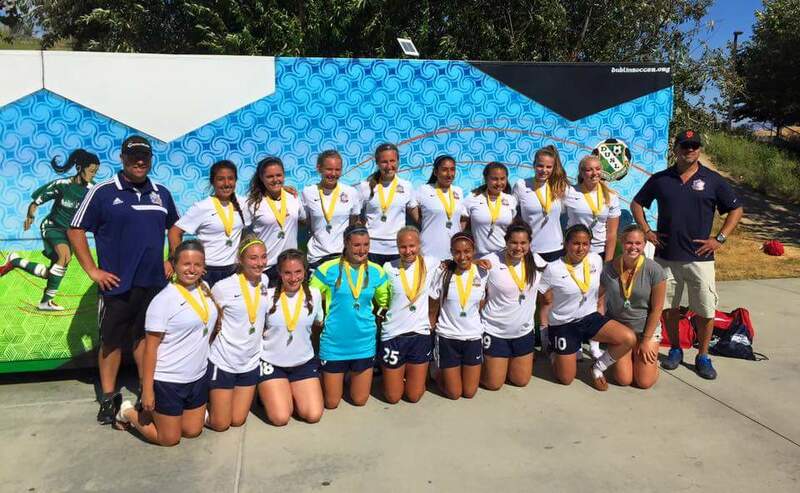 The Empire U19 Girls Barcelona took home first place in District V League. During regular league play, the team beat every team twice, finishing first. During the tournament, the team beat Petaluma 2-0. 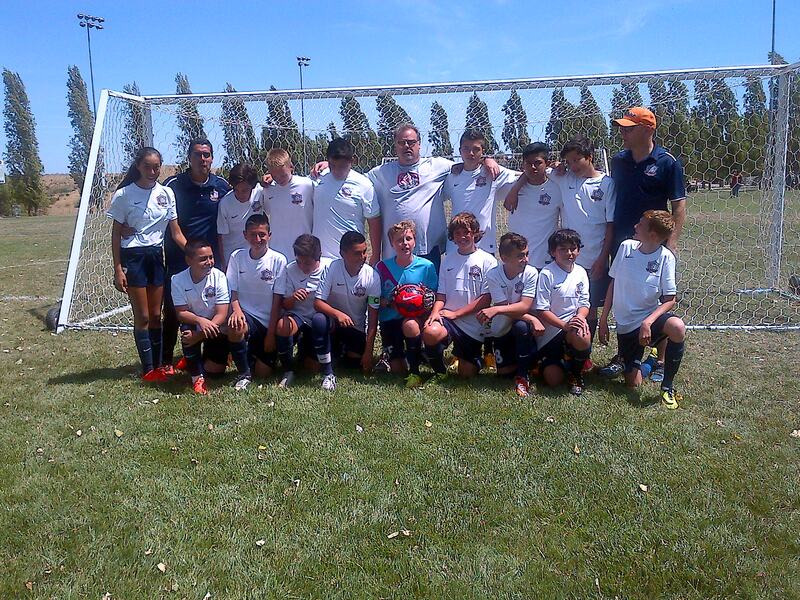 In the Championship against Napa Pride, the scored ended 0-0 during regulation and overtime forcing penalty kicks. It took 10 penalty kicks; but the girls won the tournament. The Empire U14G Blue Bombers Champions by way of Double OT, PK shootout against the team that had just beaten us 6-4 four hours earlier!! Love, Love, Love the fighting spirit in these girls. It was an awesome TEAM effort out there. Way to come back and take what you wanted girls! The Empire U9B Drillers dominated the San Ramon Classic Tournament. The boys went 4-0 in the tournament. GF 21- GA "0". Coach Marc and Jas are really proud of these boys. The Empire Barcelona U14B went undefeated 3-0, 2-1, 4-1, and 3-0 in the Championship game. Empire Blue Lightning girls took home first place in the U11G Blue Division at the San Ramon Fall Classic with a 3-1 championship game win under the lights. 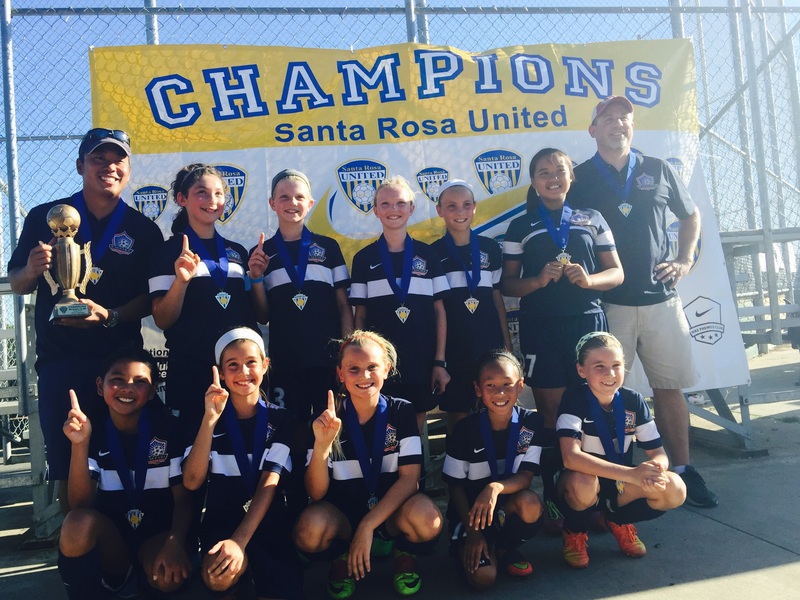 U12G's Empire Blue Storm Won their Final tournament of the year this weekend in San Ramon. They battled all weekend going unbeaten to take the championship. 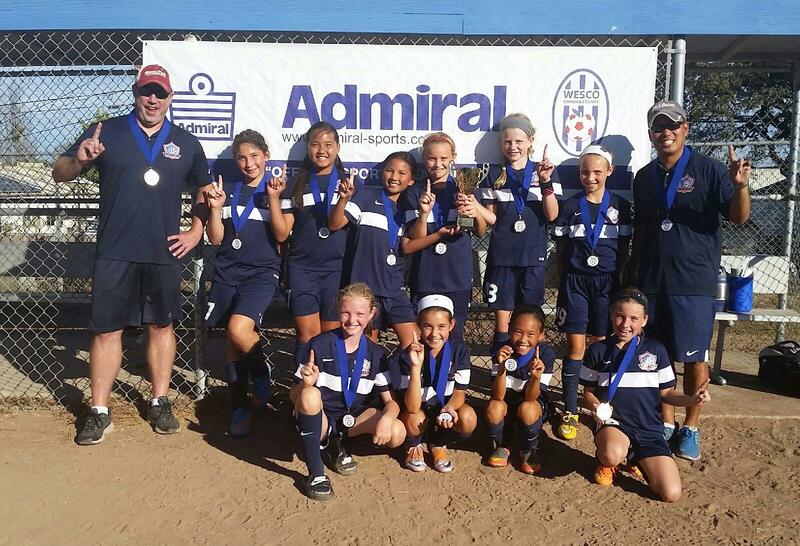 The Empire Blue Storm U12G won the their division in the Wesco Apple Classic tournament. Beating Diablo FC from the East Bay 2-0 in the finals. It was a terrific team effort to achieve this championship….. Special shout out to the defense and goalie for not allowing any goals all weekend long. Empire Blue Thunder U10 girls got 1st place in their division. Won all four games and allowed only 1 goal. The Empire Blue Lightning U11 Girls win the Apple Classic for the 2nd year in a row. After sweeping through the preliminary rounds by a combined score of 16-1, the Blue Lightning played a tough Pleasanton Rage team in the finals. They went down 1-0 to end the first half but stormed back with 3 goals in the 2nd half to take home the trophy, 3-1. Great job, girls!!! The U9 Girls Empire Blue Crush team took 1st place in their age group. After a tough opening game loss the U9 Blue Crush followed up with two victories that put them in to the Championship game. At the end of regulation the Championship game ended in a 1-1 draw and needed to be decided by penalty kicks.Blue Crush stayed strong and focused, earning a well deserved 3-2 victory in penalty kicks. The girls played great team soccer earning them their first tournament championship. The U11 girls Empire Blue Lightning took home their first championship of the year going undefeated with 3 wins and 1 tie on a hot Labor Day weekend. To capture the Silver/Bronze division, the girls played some dominant defense, pitching 3 shutouts and only allowing 2 goals throughout the whole tournament. Great job, girls! 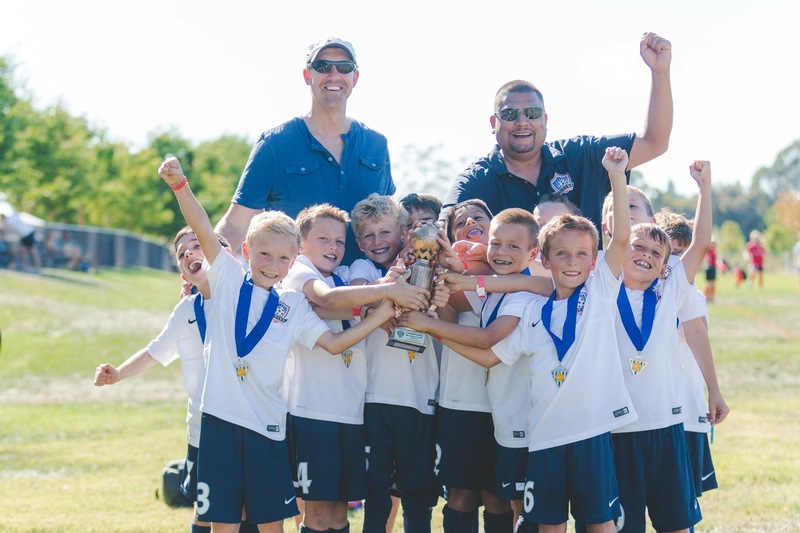 U9 B Drillers Win Santa Rosa United Nike Academy Cup! 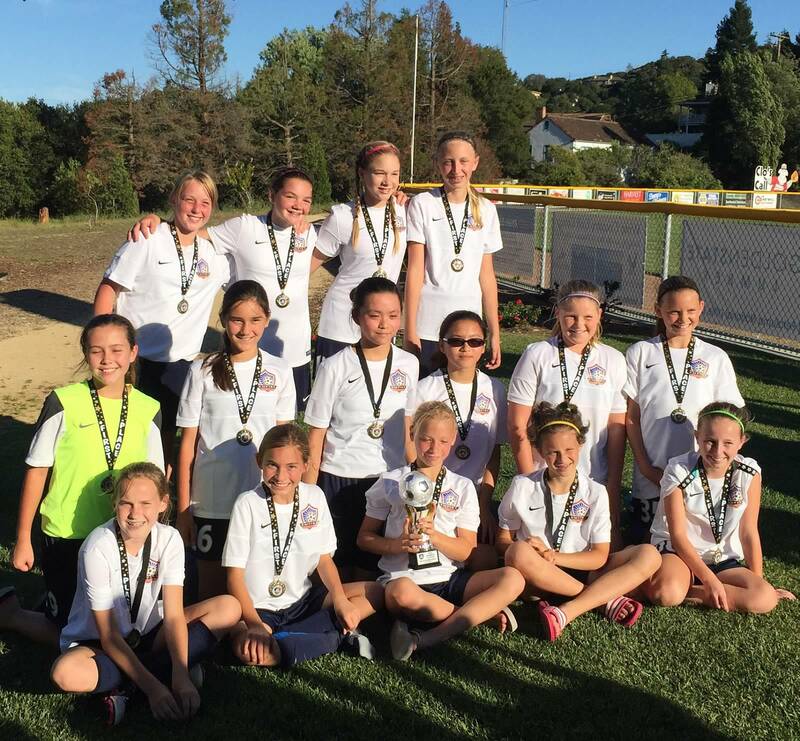 The U12 Empire Blue Storm Girls win the Mission Bell tournament Aug 15/16 in Central Marin. They battled the competitors and the 100 degree to heat the Beat Central Marin 1-0 in the Championship game. The U17G Empire Celtics took 3rd Place at the Dublin Shamrock Soccer Tournament. The U18G Empire Blaze took 1st Place at the Dublin Shamrock Soccer Tournament. In the final game, the defense was so dominant that the opposing team had no shots on goal for the entire game! Coach Mark Marcarian with the assistance of Rohnert Parks Chris Howard (and a few of his girls!). Empire Barcelona U14 Boys took 3rd place. They lost the first game 1-3, and then won 2-0 and 1-0. On the consolation game, it took the team a bit to get organized; the first half ended 0-0. In the 2nd half the goals starting coming and they won 4-1. Well done boys. 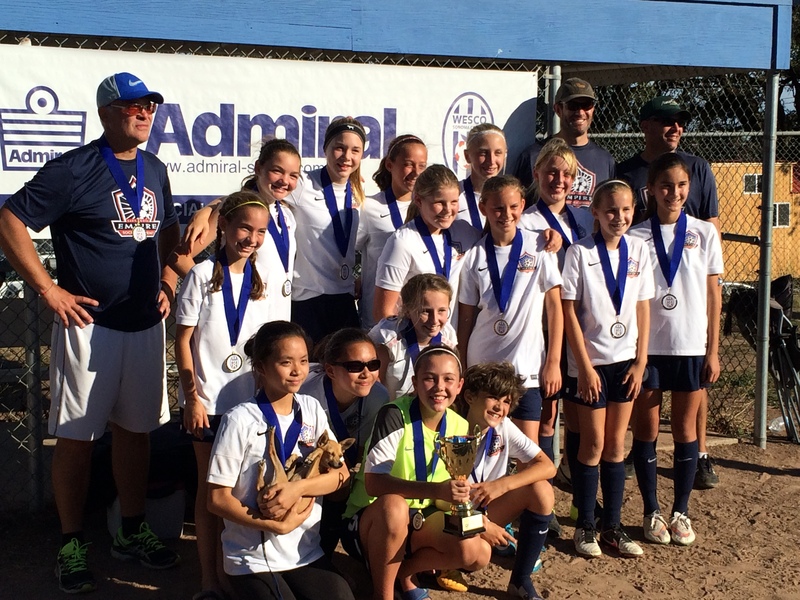 The Empire U13 Blue Bombers won their 1st Tournament Championship at the 2014 San Ramon Fall Classic. These girls played hard and left it all on the field. Great Job Bombers!! Empire's U10 girls team Blue Lightning won the WESCO Apple Classic in Sebastopol September 27/28th. These girls were unstoppable earning 19 total points out of a possible 20 for the weekend. They produced shut-outs in all four games! August 23rd and 24th 2014 at the San Ramon Copper Select, the Empire U13 Blue Bombers played their hearts out all weekend and competed in their first championship game bringing home a hard fought 2nd place finish. Great Job Girls!! Special thanks to: Ashley Lowery, Michael Cox, and Andrew Johnston for their contributions to our team. U14 Boys Tornados took 1st place in the Skunk Tournament in Fort Bragg. U16G Empire Celtics took 2nd place in the Dublin Shamrock Tournament. They tied 0-0, won 6-0 and tied 0-0. In the championship game they lost a tough game 0-1. Many of the girls had to play thru injuries. Audriana G. was not in the picture and was unable to play in the final game due to a very hard foul in the 3rd game. The Empire Academy U9 girls brought home the first championship of the season by going undefeated in 4 games to win the San Jose Earthquakes 4 vs.4 tournament at Trione field on Sat. August 9th. Well done girls. Junction City Roseville Tournament. Congratulations to Empire U16G Celtics for placing 3rd. 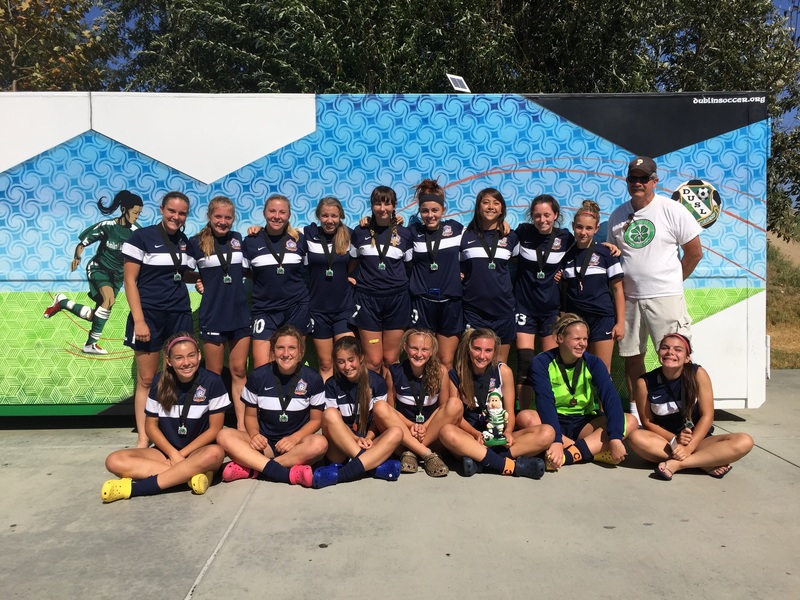 The U17G Santa Rosa Empire Blaze took First place July 12/13 with a 1-0 win against a very good Union City team at the Petaluma Adidas Classic soccer tournament Championship game. Coaches: Head Coach Mark Marcarian, Asst Dwayne Wright. Goal Rush U19 Girls placed 2nd in Founders Cup. During the first week of qualifiers, they won all their 3 games 3-0, 2-0, and 3-0. The following weekend during single elimination games they won 1-0 and 4-0. On the Final game, they lost a very tough game 1-3. They played hard until the very last minute, giving their all. Kelly scored the only goal; but it was a beauty. She created some space away from the defenders and from 30 yards away, she shot a rocket that found the back of the net. Congratulations to the players, the coaches and all the parents that made it possible. Founders Cup is a tournament for recreational teams that play in CalNorth leagues. U12, U14, U16, and U19 Boys and Girls teams. 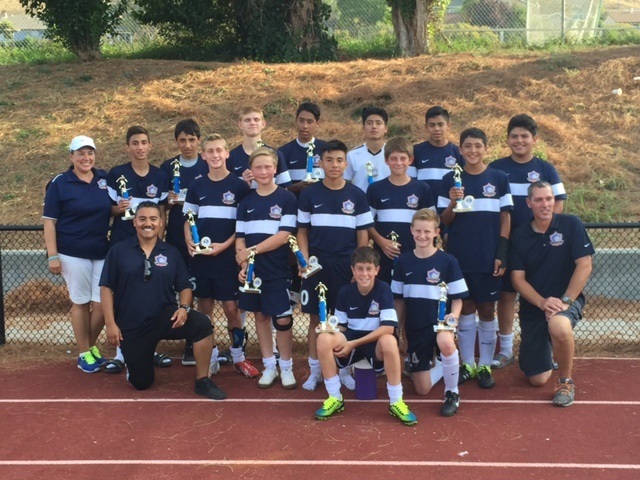 Chelsea U15 Boys placed 1st in the Sacramento Gold Rush Tournament. Way to go Crushers. The Empire U11 boys team placed in the top 8 in the State Cup seeding putting them into the race for the Championship. Once in the finals, the team swept the Quarter final, Semi-final and Championship game without a goal being scored against them winning the Bronze Division 6 State Cup Championship. 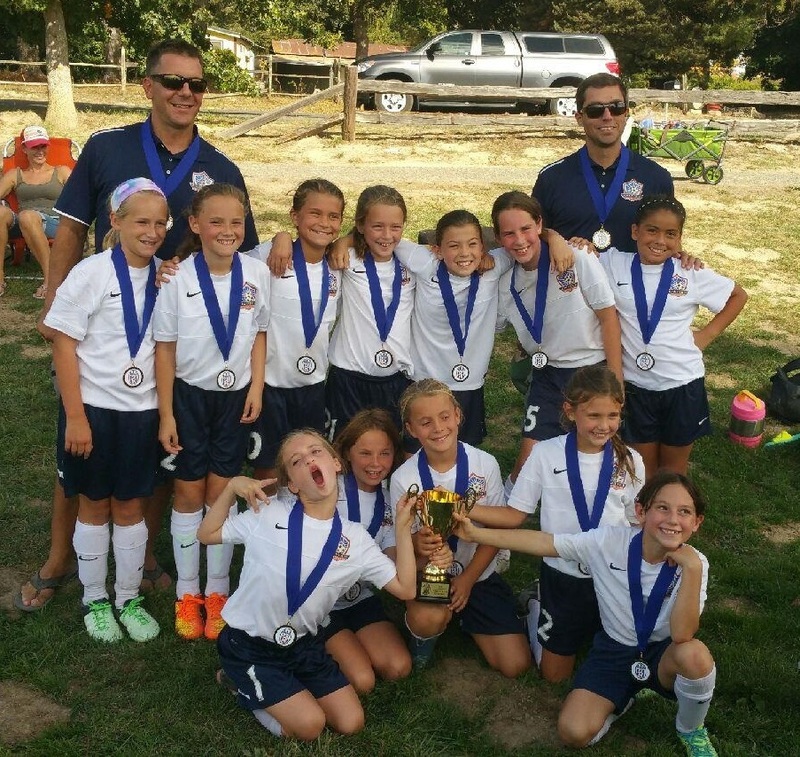 Blue Lightning U9 girls 2nd place finishers at Santa Rosa United Academy Cup. Aug 31/Sept 1 2013. Won 3 games to make it to finals then ended final match in a tie and lost in a very exciting penalty kick shoot out. "The Empire U16G Blaze took first place this weekend at the Ft. Bragg Spookfest. It was a fun tournament for all, and because many of the girls high school obligations, the Blaze played the whole weekend with only 11 girls. Nice job Ladies!